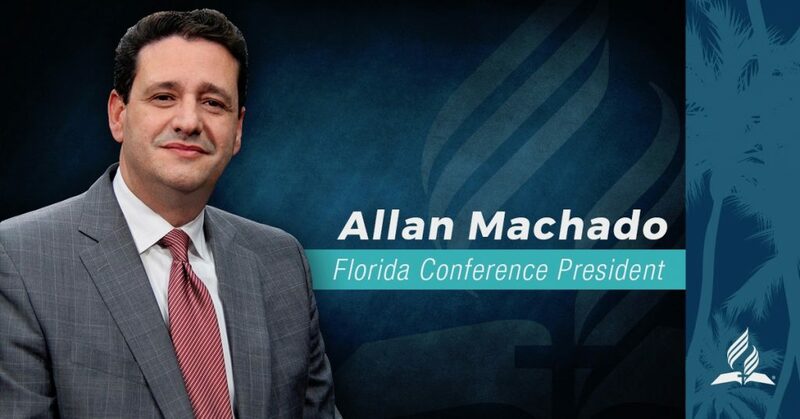 Dr. Allan Machado has been elected President of the Florida Conference. On June 24 the combined election committee of the Florida Conference overwhelmingly elected Dr. Allan Machado to serve as the president of the Florida Conference. Please join us as we congratulate, welcome, and pray for Dr. Allan Machado and his wife, Elsa, as they take up their new responsibilities.